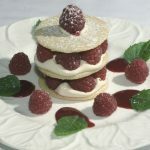 Birthdays; Anniversaries; Funerals; Meetings; Luncheon Parties; Afternoon Tea Parties; Business Dinners; Weddings; Reunions; etc. 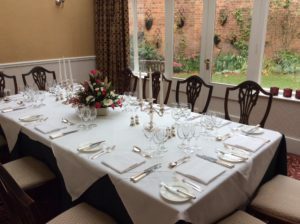 At Chapel House we pride ourselves on providing personal attention to our guests and hence, unlike impersonal corporate hotels, we do not have reams of “Menu Selectors” and set “packages”, limiting you to the same menu as everyone else. 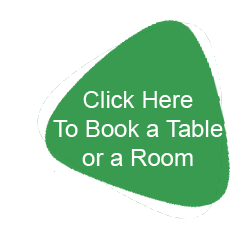 We prefer to talk through your occasion or business meeting with you to arrive at an overall solution to suit your individual requirements. Party Menus usually comprise a choice of three starters, three main courses, three desserts, and coffee. 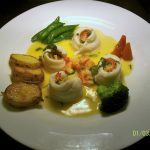 However, they can range from a set meal with no choice – the cheapest option, to a banquet with four or more courses including for instance a sorbet, fish course, or cheese course – priced accordingly. For private functions based on a meal (dinners, receptions, etc.) 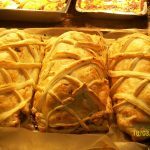 there is no extra charge for the hire of the room as it is included in the overall price per person for the meal – prices start at £30.00 per person with a party menu personalised for you. Please telephone for more information or to discuss your personal menu requirements with Richard. 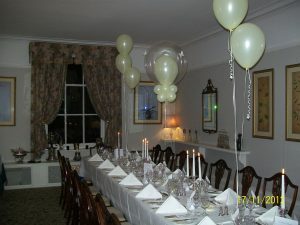 Smaller parties (up to 10 guests) are perfect in the small ‘Garden’ room. 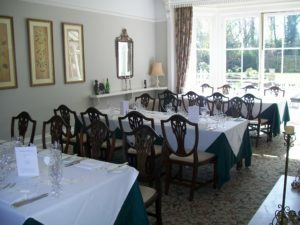 Larger parties (up to 28 guests) enjoy exclusive use of the main restaurant.